For the majority of my life, I didn’t understand how it was possible to get eight hours of sleep at night. The concept was as foreign to me as wearing socks to the beach or having dinner without dessert. You see, growing up, I didn’t sleep. My parents regularly talk about what an odd baby I was because when they put me in my crib at night, I would just stare at them before proceeding to stare around the room for hours, fighting sleep. Even in middle school, high school, and parts of college, I would gladly function on four to six hours of sleep and consider that to be my normal. Although, the strangest part about this is that at my core, I always have been and always will be a morning person. Which means going to bed at 2 a.m. will always mean a 7 a.m. wake-up (and that’s if I’m sleeping in). Eventually, my lack of sleep began to take a serious toll on my body. I couldn’t sit up all night on Netflix or Instagram anymore. I had to figure out a way to to sleep through the night. A few years ago, I committed to doing just that. I worked hard to develop a sleep routine that worked for me and was determined to stick to a schedule. My type A personality made this simple. However, my social schedule and love of television did not. Although it was difficult, I can honestly say that after three years, I really am a pro at sleeping. I had always been good at taking a nap here and there, but now I’m always confident that I can sleep through the night. So confident, in fact, that if sleeping were an Olympic event, I’m positive that I could bring home gold. Keep reading to learn about the tricks that I swear by and the products I rely on for getting a minimum of eight hours of rest. I know this might seem crazy to some, but my bedroom is the most important room in my home. Even though it’s a room that isn’t seen by most guests and is not the room where I spend most of my day, it’s crucial that this room is where I feel the most comfortable. Everything starts with my bed. A few years ago, I invested in a king mattress, and I have to say that it changed my life. 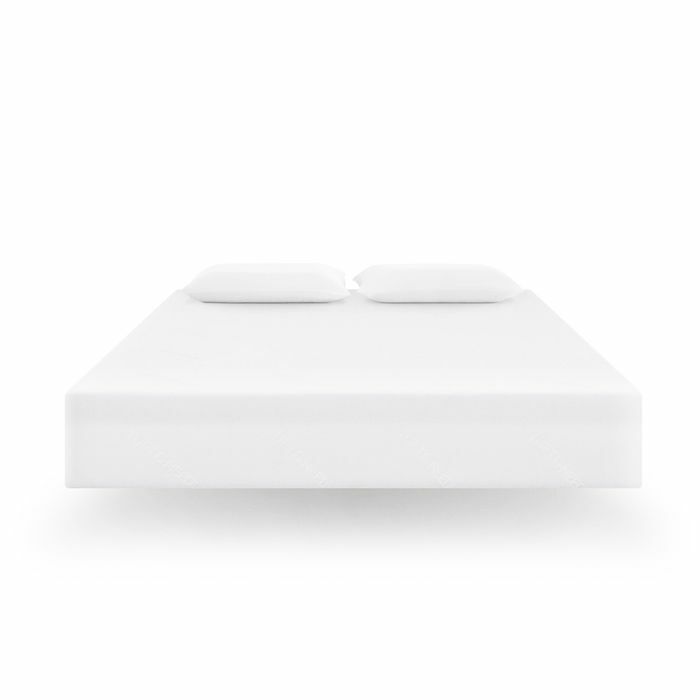 My Tuft & Needle mattress is incredibly comfortable, soft, and feels like sleeping on a cloud. Next up are the pillows. I try to change and wash my pillows regularly. Right now I’m in love with the pillows from Casper. They’re plush and supportive yet not too firm. I am very particular about my sheets. This option from Parachute is my go-to right now. They keep me nice and cool during warm summer nights but still feel sturdy, which I love. Additionally, I can’t sleep without a blanket. No matter how hot it gets, this is a crucial part of my routine. Sleeping under a flat sheet will never be enough for me, so I love to throw an extra blanket over my duvet and sheets. I’m in love with The Citizenry’s home pieces. The company supports artisans around the world and creates pieces that make a statement while still fitting in with my minimalist aesthetic. This particular blanket offers just enough warmth and more than enough comfort to get me through the night. I also can’t sleep without silk pillowcases. I need to make sure that my eight hours of happiness don’t wreak havoc on my skin and hair. These Slip pillowcases ensure that I wake up without dry skin or frizzy hair. Finally, I have to focus on my pajamas. As someone who can no longer label herself as a recent college graduate, I stopped wearing old sorority and fraternity shirts to bed this year. I’ve officially begun wearing adult pajamas, and I have to say that it adds a bit of excitement to my bedtime routine. I love matching sets from Sleepy Jones because they have timeless designs, they’re soft, and they fit perfectly. My routine starts as soon as I wake up. I try to make my bed every morning so that each night I only have to focus on a few items to set the mood and tell my brain that it’s time for bed. As soon as I get home from work, I head to my room and light a combination of candles. I love combining scents to turn my room into an alluring chamber that evokes a sense of calm. The combination of Diptyque Feuille de Lavande ($35) and Feu de Bois ($65) does just that. After I finish dinner, I have a cup of tea to introduce my body to sleep mode. Then, I wash my face and slather my skin with Dermalogica Sound Sleep Cocoon ($80). It’s formulated with lavender and other ingredients to help put you to sleep and repair your skin while you’re snoozing. After my face is clean, I lie in bed and read a book. Although I sometimes check my phone for a final time before turning out the lights, I try my best to spend the hour leading up to my 9 p.m. bedtime reading. Right now, I’m working through Little Fires Everywhere ($14), and it’s turning out to be a great read. 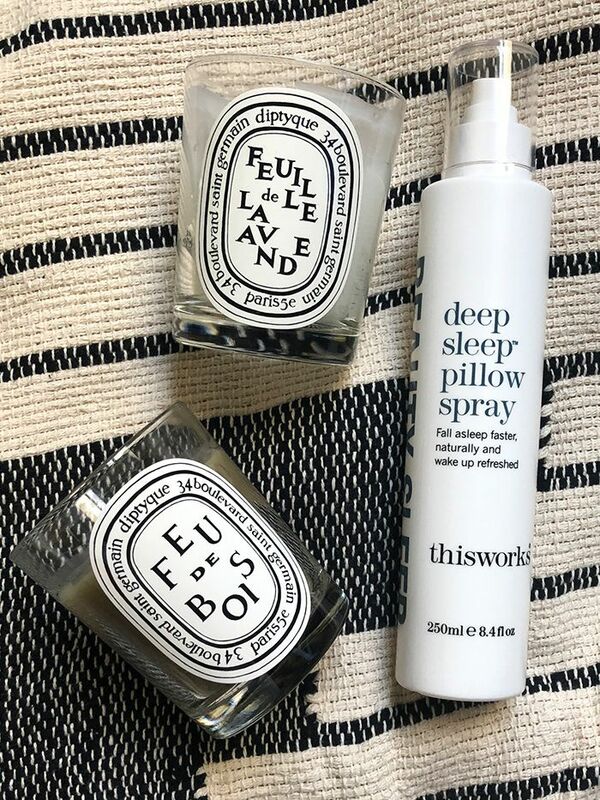 Finally, right before bed, I spritz my pillow with a few sprays of Deep Sleep Pillow Spray ($29). The scent makes me feel sleepy and helps me to stay asleep through the night. After doing all these things, I wake up feeling well-rested, refreshed, and ready to take on the world. It took a long time for me to get this system down. I slept past my 5 a.m. alarm a few times, forced myself to wake up for workouts on less than four hours of sleep, went to work as a groggy monster, you get the gist. However, through all of my triumphs and tribulations, I remained dedicated to this routine, and now it works every time. I can honestly say that within the past year, even on nights when I’ve felt anxious, stressed, or weirdly awake, I’ve still managed to get in a solid eight hours. Now that I know how to sleep through the night, it’s my favorite thing to do. I actually avoid late-night plans because I don’t want anything to ruin my routine. Nothing and no one makes me feel as happy as sleep, and if that means that I miss a dinner or a party, that’s okay with me. Looking for more ways to fall asleep? Here’s how you can use breathing techniques to help you fall asleep.